The Dorothy Powell Senior Center invites the community to Friday Breakfast in efforts to help raise money for the Home Delivered Meals Program. From 7:30 am to 9:30 am breakfast will be served on September 22, 2017 at the Dorothy Powell Center, located at 405 E. Sixth Street. The price per plate is $5 and the proceeds will go towards the Home Delivered Meals Program. 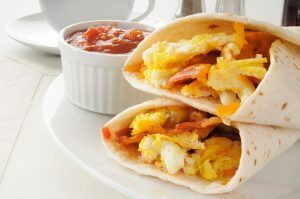 The menu will consist of a breakfast burrito packed with eggs, potatoes, sausage, bacon and cheese and served with fresh salsa.